February 14th is not only Valentine's Day, but also it is National Donor Day. Did you know that (as of this post) over 110,000 people are waiting for a donor organ? And talking about organ donation, don't forget about being a blood donor. Did you know that every two seconds, an American requires a blood transfusion? In the video above, I talk about National Donor Day on local TV news. 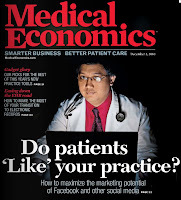 If you found the video helpful, I encourage you to check out other videos about health related topics at MikeSevilla.TV. With the events in Egypt over the past three weeks, it reminded me of thoughts when I was barely a teenager of a different type of revolution. If people didn't already know, my heritage is from the Philippines, even though I was born in the United States. The homeland of my parents took a lot of interest to me during the mid 1980s. The story was similar to today in that the people rose up and, in essence, took over the government. 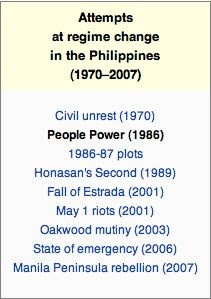 What's really interesting is that when you search the term "People Power Revolution," in Wikipedia, it takes you to the nonviolent demonstrations and revolution that took place in the Philippines in 1986. Starring as the dictator at that time was Philippine President Ferdinand Marcos who was in power for two decades. This story begins with the assassination of the president's chief rival at the airport in 1983. There were a lot of rumors that the Philippine president was involved. And, for the next two and a half years, the tension was building until presidental elections took place in 1986. Marcos was declared the winner, but there were accusations, especially from the international community, of election fraud. Corazon Aquino was the leader of the opposition movement. It was her husband who was assassinated and she was the one running against Marcos. It was at this point, from February 22-25, 1986, when the peaceful demonstrations took place. Many remember the color yellow on television while watching the protests. It was estimated that 2 million Filipinos took part in the demonstrations. The Wikipedia article gives a pretty good timeline of what happened during those few days. 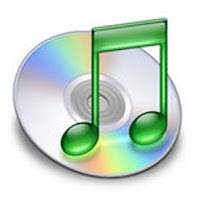 Yes, there was no twitter or facebook back then, but the article goes into how the rebels were able to use traditional media - like radio stations and television stations - to update the country on what was happening. 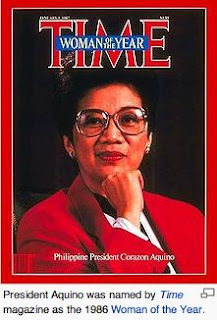 The transfer of power was peaceful and President Aquino became internationally known even to a point where she gave a speech in the US Congress and was named Time Magazine Woman Of The Year for 1986. What's interesting now is that there really has never been one person named as the "leader" of the Egyptian opposition. I find that interesting.